Valentine’s Day – Let’s celebrate ourselves by examining three different but important types of self-care! 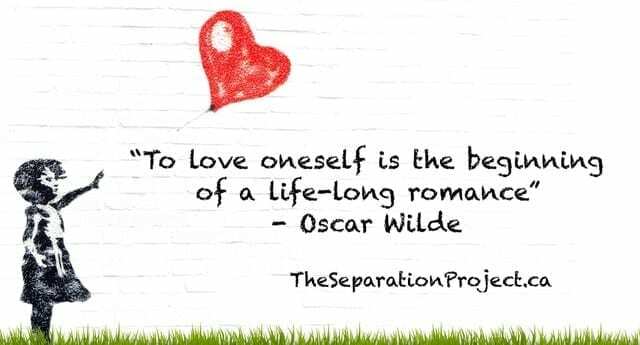 Valentine’s Day is a great time to celebrate yourself, wherever you are on your self-care journey. There are, as I see it, three different varieties of self-care. Please look at all three types below and the questions I would like you to ask yourself about for each type. I want to emphasize that self-care is just that – self-care. If you feel bad about what you’re doing, or inadequate, give yourself a break and know you’re doing what you can when you can. We are all worthy of our own love just the way we are. Improving how we think about and do self-care is helpful, but only if it’s giving you energy long-term, not robbing your energy. Give yourself a break when you need it! Breaks are always necessary and well deserved to help us balance our lives. First, there is the pampering we like and enjoy. These are special things we do to treat ourselves, like eating chocolate, drinking good wine, getting a pedicure or having a bubble bath surrounded by candles. Although these specific things may not appeal to you, I’m sure you get the idea! These treats are like a reward for good behavior, and we should look forward to them and enjoy them. These treats are what people often equate with ‘self-care’ but there is so much more involved in true self-care. Are you treating yourself on occasion and truly enjoying it? Are you doing what you think you should do, or are you doing what you want to do to pamper yourself? Are you spending money you don’t have for pampering and actually making yourself feeling worse overall? What are some things that you can do to pamper yourself that you can schedule in? Can you schedule these me times into your calendar? Second, there are the basics that we all need to do to keep up our health, well-being and just live well. Things like sleeping enough, eating nutritious food, staying hydrated, moving our bodies for strength and flexibility, basic personal hygiene, and most of the basics of our day-to-day lives fall into this category. Sometimes, in a crisis, this basic self-care becomes more difficult to maintain and we may really struggle to look after ourselves properly. When this critical type of self-care stops we realize how sometimes we take this type of self-care for granted. Deep down what is your body saying when you quiet down and actually listen? What is your spirit telling you? Are you balancing the needs of your body, heart, mind, and spirit? Are you doing the best you can for yourself? Are there simple changes you can make to your routines that would benefit you? Are your personal values and your habits well aligned or do you find resistance and procrastination coming up with basic self-care? The third type of self-care is all the difficult tasks that take courage, strength, and commitment. These tasks like setting healthy boundaries, standing up for ourselves when things get difficult, and speaking our truths. These acts of true self-care are often the least practiced type of self-care but the most necessary. These tasks are vitally important to living a happy and healthy life, but they are often overlooked and avoided. They are by far the most difficult part of self-care. They also offer great benefits when you commit to YOU and what YOU need! They are often difficult to do but have great positive payoffs for you. Are you doing the things that may be difficult now but will pay off in the long run? Do you know your boundaries and understand how to maintain healthy boundaries? Do you speak up for what YOU need and want when necessary? Are your relationships supporting you or draining you? Do you say “no” when you need to? Do you tell people when they disappoint you with positive conversations about what you expect and need from them? Are you taking action to obtain your goals, or are you working towards other people’s goals? Are there major changes you want to make in your life that need to be broken down into small manageable steps? Self-care, self-respect, and self-love are so essential for health, well-being and satisfaction in life. Where are you on the self-care journey? Today is a great day to make sure you’re looking after yourself properly and, if not, to commit to working towards better self-care and more balance. If you’re interested in reading further, here is another blog I wrote about how to celebrate Valentine’s Day single. If you need help with self-care I am happy to be your coach and motivate, guide and support you on the journey! Contact me for a complimentary strategy session. Great advice all around! I bet most of us could stand to do more in at least one of these areas, if not all three. So true Janet. The difficult self-care is often avoided because it is difficult but the long-term benefits are tremendous! Indeed great tips! It all boils down to following a process to rejuvenate ourselves by eating right, working out, enjoying our work and being disciplined in every area of our lives. I think just try leading a day of a disciplined life, the feeling at the end of the day is awesome. Thank you for the comment, Dan! Self-care really does feel good especially at the end of the day when you look back with satisfaction at what you did accomplish!